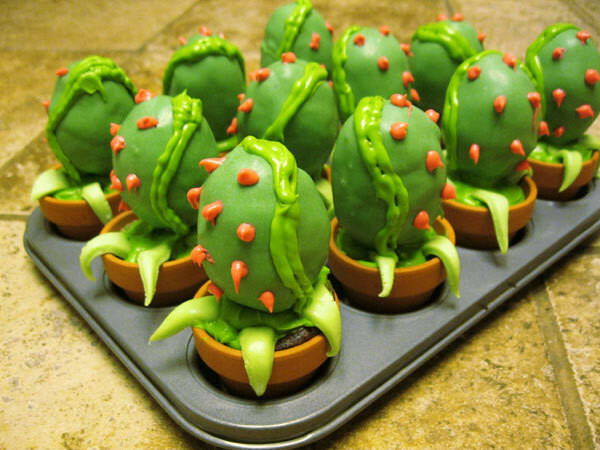 I made these for a cast party for Little Shop of Horrors. 1. Bake some mini cupcakes and put them in small terra cotta pots, frost the top with green frosting. 2. Get some green fruit chews, roll them out and cut them into tentacle shapes. I cut them into long triangles and then formed them with my fingers. You might need to warm them in the microwave for like 5 seconds to make them softer for rolling out. 3. If your pop sticks are too long to fit in the pots, trim them to the right size. 4. 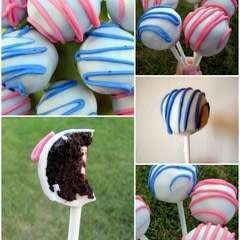 Make some oval shaped cake pops. 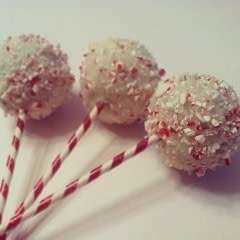 A good tutorial for that is located here: http://www.youtube.com/watch?v=JpIifr0VOxY or if you prefer no-bake cake pops made with oreos go here: http://www.youtube.com/watch?v=uHYFuVVL2ZE. 5. 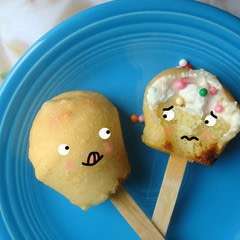 Once the cake pops are set, take your green candy melts and draw on the mouth. Use another color of candy melts for the shell spikes. I used pink. Chill them in the fridge to set them up. 6. 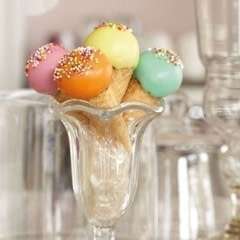 Once the pops are completely set, stick them into the frosted terra cotta pot cupcakes. I hope that helps and wasn't too confusing. 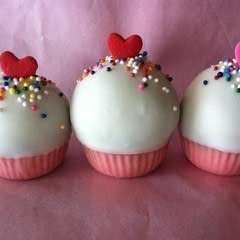 Love the play and love your cakes !